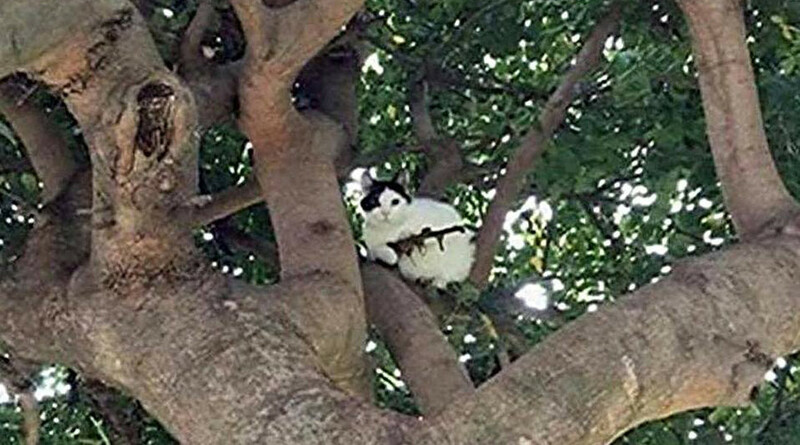 Police in Newport, Oregon arrived at the scene after receiving reports that a black and white cat was hiding in a tree armed with what appeared to be an assault rifle. The cat didn’t escape entirely unscathed, however, as police issued it a couple of warnings. “The cat was given a verbal warning for posing with what could be mistaken as an assault rifle while wearing poor camouflage attire,” Newport police joked.